Start with solid team bios. Show that you and your team have the qualifications they're looking for. Let them know who they’ll be working with and in what capacity. Prove your employees are real humans, capable of independent thought. It’s important to strike the right balance between these three elements. While you don’t want to come off too pretentious or robotic, you don’t want to come off too casual or work-averse either. To get in that Goldilocks zone, focus on what strengths each team member brings to the projects they work on, what they like most about their job, and what they’re like as people. It can be helpful to throw in one or two conversation starters that the prospect can bring up when they meet that employee for the first time. These could be related to a hidden talent or what they like to do outside of work. 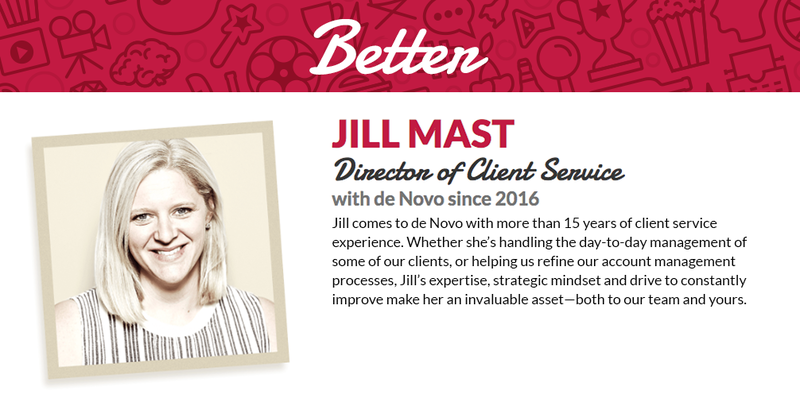 ^ This bio does a good job of demonstrating what it is Jill does for de Novo, but it’s not as client-centric as it could be. ^ Much improved—but it still lacks personality. Let’s try this again. ^ Now Jill is much more approachable and relatable. Don’t overlook the importance of the photos accompanying the bios. An image speaks louder than words, and if the prospect doesn’t feel like reading the bio—or worse, gets bored half way through and stops—the photo is all they’ll have to go on. Make sure employees wear something clients might actually see them in (i.e. don’t have them wear a suit if they never do, and don’t allow t-shirts if they’re expected to wear a suit). They should feel comfortable and confident in whatever they’re wearing so their personality—not their clothing—is the star of the shot. Remember, not everyone is comfortable being photographed. Don’t try to force a pose that feels awkward and try instead to capture a natural moment. In almost every case, it’s worth it to hire a professional photographer to take headshots and group photos. Any photographer worth their salt will help your team let their guard down to capture their best angle. ^ This is a stock photo. 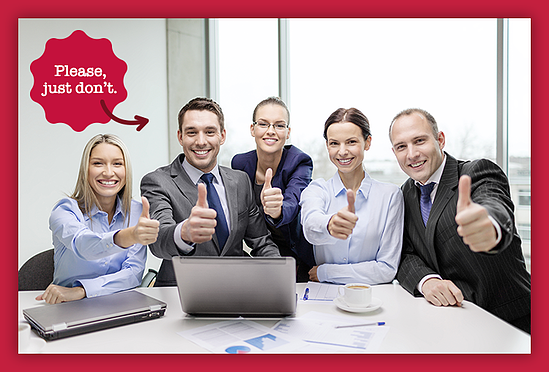 Never use stock photos in lieu of actual photos of your employees. Ever. 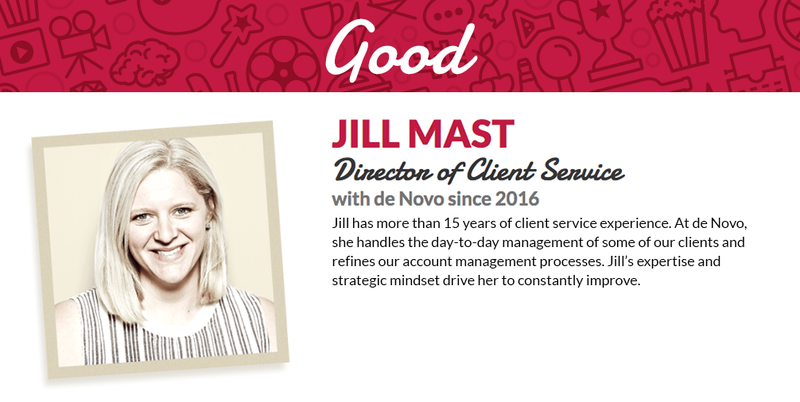 ^ de Novo's website uses cinemagraphs (the type of gif you see above) to show movement and entice prospects to click on staff bios. These are meant to be fun, but they're not the only team photos we feature. 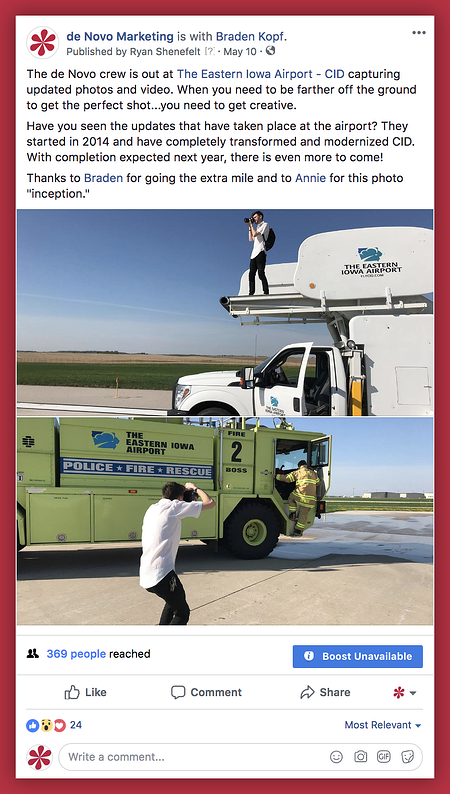 ^ Once a prospect is on the employee’s bio page, they'll see professional headshots that are a little more serious, but still warm and engaging. BONUS: Other ways to warm prospects up to your team. Blogs give your employees a chance to play up their strengths while helping clients learn something new or solve one of their challenges. Blogs, vlogs and podcasts give your team a voice and show that the people on your staff are knowledgeable, competent and confident in their fields. Have employees apply their expertise and weigh in on a trending topic. 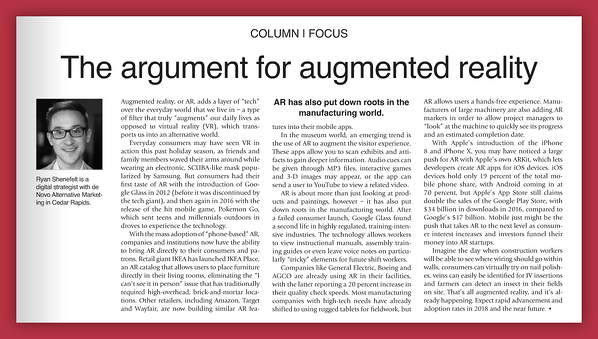 As an example, when Pokemon Go burst onto the scene a couple years ago, we had our Digital Strategist get to work explaining the underlying tech in laymen’s terms and demonstrating its implications for the marketing world. The Corridor Business Journal ran this as a guest column. de Novians regularly provide content for this publication and others, building our reputation as experts in our field. Show off your staff on social media, making sure to match the tone of the channel you’re working on. 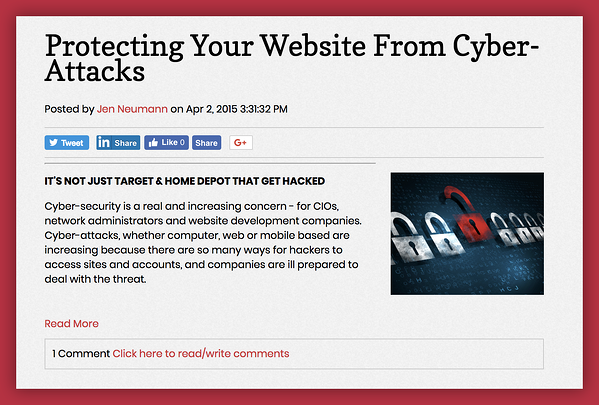 For instance, if you’re reposting a blog on LinkedIn, keep it professional. If you’re Snapchatting from a networking event, capture a playful or funny moment. This can be helpful in your recruiting efforts and showcases how your company values staff and the talents they bring. Need help finessing your staff bios and capturing everyone’s best angles on camera? 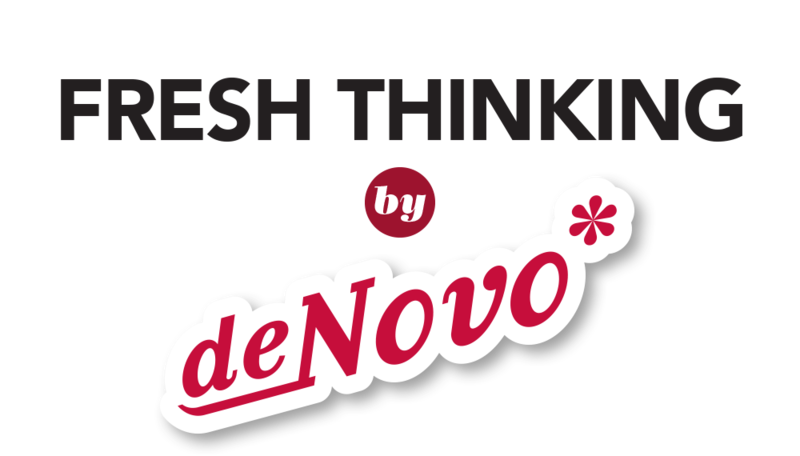 Reach out to de Novo for a fresh take on the traditional headshot.